“The idea of #SPLAM is for the five of us to share classic albums that the others may not have heard before. Suood, Matt and Akash are almost certainly going to be offering American releases, and whilst – the only other #SPLAM contributor from the UK – has shown a passing interest in UK rap, I can’t imagine he’ll be suggesting too many British albums. Therefore, I’ve made it my mission that for at least most of my choices of albums for the #SPLAM series, to be of Grime or UK Hip Hop. Presuming that much from this side of the Atlantic is alien to most of my fellow #SPLAM-ers, I felt there was only one place to start, in order to introduce them to it – Dizzee Rascal’s Boy In Da Corner. The Grime legend’s debut album shares similarities to Illmatic in my opinion. When you think of Grime, the one album everybody can agree on as a classic. It isn’t perfect by any means, but just like Illmatic, you can’t not respect what Boy In Da Corner did to the culture it birthed from. With hard-cutting, abrasive rhymes depicting the London lifestyle for much of the album, it’s a stark contrast to the Dizzee who collaborated with James Corden and Robbie Williams. In his youthful prime, Dizzee finds himself able to make social commentary without becoming monotonously melancholic. The 140 BPM and repetitive hooks enable the Bow E3 emcee to balance making a statement with making a hit. Many albums (Rebel With A Cause, Class 90 and Sorry We’re Late being my current favourites) have topped the quality of Boy In Da Corner, but its legacy? I’m not sure any album will ever be able to live up to that, nevermind supersede it. Grime may be thriving off of co-signs from American superstars right now, but it never would have gotten off the ground without this album. “I’m not really familiar with the UK Hip Hop scene, apart from Professor Green and Devlin, so when Lee suggested an album by Dizzee Rascal, I was apprehensive, but I couldn’t deny the fact that I was excited about exploring new sounds. Boy In Da Corner by Dizzee Rascal is an album where the artist brilliantly showcases two sides to himself. Rascal spits bars with aggression and bravado, but manages to maintain his vulnerability and frankness on many occassions. For instance, one of my favourite lines on the who album was on the intro of the album – “I think I’m getting weaker because my thoughts are getting stronger”. Despite his lyrical capability, I found myself fast forwarding through a lot of songs because the production didn’t sit right with me, but maybe that’s just me. I found it jarringly different from the Hip Hop I’m used to hearing and that really put me off. However, Rascal’s song-writing ability was something that clearly shined throughout the album. Unfortunately Matt couldn’t make it to this episode of #SPLAM, due to other commitments, but hopefully he’ll be back for next time. “In this week’s edition we have an album from the UK grime scene, backed with outstanding reviews and high amounts of praise. 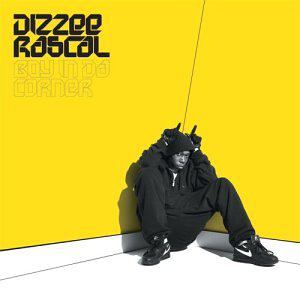 Lee’s pick, Boy In Da Corner by Dizzee Rascal. I was a bit excited to hear this album due to the different flavor I knew I’ll get, along with the fact many consider it a classic as well. Unfortunately, I do not understand the hype at all. Most of the time I spent listening to this album felt like a chore. Dizzee failed to keep me interested through any sequence of 2 tracks, where a lot of them just sounded bad or got boring quickly. Not to take away from his writing abilities though. After all, he did pen “I Luv U” and “Jezebel” which were one of the few highlights of the album lyrically but sadly, I can’t stand sitting through them as songs. “Round We Go” might’ve been the closest that Dizzee got to making a full song but the hook on it was just unbearable. Then there’s the fact that “Fix Up Look Sharp” and “Jus A Rascal” felt completely out of place on this album. Delivery and production were this album’s biggest downfalls. I thought Dizzee had a lot to say and he certainly showed up from that aspect but he only maanged to give me an album that sounded dull with no replay value whatsoever. “It’s funny how music can transport you to a different time and place. The first few bars of Sittin’ Here for example instantly take me back to the winter of 2003 when Boy In Da Corner, Speakerboxxx and the Kill Bill Vol. 1 OST were the perfect accompaniment to early sunsets and dreary bus journeys in the rain. Dizzee Rascal envelopes you in his world from the jump and over the course of 15 self produced tracks can leave you feeling like you’ve just been smashed in the face with a bat and had your trainers stolen. It’s an 18 year old’s unapologetic view of what it’s like to be him and is a real coming of age tale, summed up brilliantly on Brand New Day as he laments the loss of childhood friendships and innocence while comprehending the harsh realities of adult life. Boy In Da Corner is about as raw as it gets for the most part, abrasive beats and totally unfiltered content delivered with a self-assuredness that belies the MC’s tender age. Dizzee sounds like he’s been doing this for years and although his accent may be jarring to some, I think it would be hard for anyone to deny that he’s a technically brilliant rapper. Best track for me is the inspirational album closer “Do It!” But the heavy hitters like “Sittin’ Here”, “Fix Up, Look Sharp” and “I Luv U” run it close. This is by far and away my favourite album we’ve covered for #SPLAM and sits comfortably in my top ten of all time. It’s not without its flaws, but they’re easy for me to look over because of how brilliant the rest of it is and simply put it’s like nothing that was done before or since. It’s such a genre-defining record that it’s difficult to think of a US comparison… Straight Outta Compton possibly being the closest. So we again found an album that we can have a fight over. I for one will be hoping to team up with Phil’s and hunt down Akash and especially Suood (for his least favourite track pick). As for Akash’s pick, we’ll be looking at Gangstarr’s Moment Of Truth. Join in the conversation on Twitter using #SPLAM.